A premium air rifle and air pistol indoor shooting range in the centre of Luton in Bedfordshire that you can pre-book by calling on 01582 453542 or from their website below. Targets are included in the rental price. There are four 30m rifle lanes and one 8m pistol lane, so you can come with your friends and have a mini contest by booking the number of lanes you will require (range rental includes any targets you may use). You can bring your own gun or rent one from us by the hour at very reasonable rates (rifle rental includes any pellets you use). 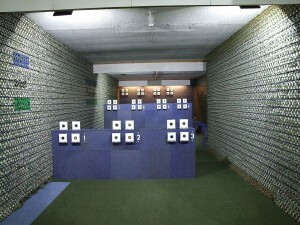 You can use the range to test any gun in stock that you are interested in purchasing to make sure it is what you want. We have facilities to charge your PCP air rifle on site as well.